This Wesley tee has Dri power advanced moisture management performance. It features a screen print application of the Wesley prayer and the cross and flame emblem. 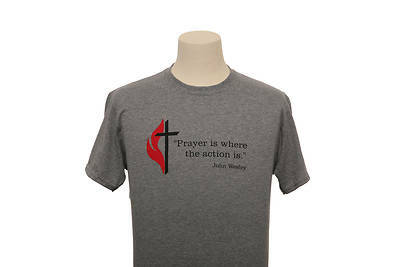 "Prayer is where the action is"